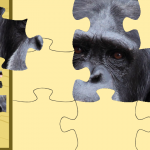 Home General New app: Animal Puzzle Collection! after a longer hiatus I am back at working on apps for Biondoo Games. I have almost finished my newest one: Animal Puzzle Collection! 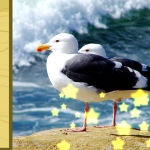 It is intended for young children and features 50 puzzles featuring real animals. 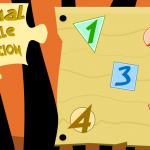 The puzzles each consist of 9 parts. It will come out later this week. The free version will include 10 puzzles, and you will be able to buy the full version for 1.99 $US via an In-App purchase. I am really happy with the graphic design, as I am still learning to work with Inkscape and Gimp, and I think the menues turned out pretty decent. What do you think? Here are some screenshots!